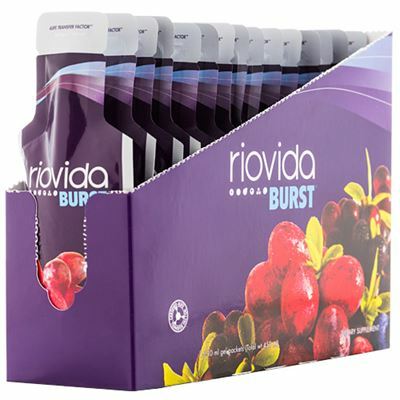 RioVida Burst is the one-and-only transfer factor supplement available in an edible gel. It provides the benefits of 4Life Transfer Factor Tri-Factor Formula along with an antioxidant-rich juice blend of açai, pomegranate, blueberry, elderberry, and purple grape. Portuguese for River of Life, RioVida Burst is a gelicious way to juice up your day. Transfer factors are tiny messenger molecules that transfer information from one entity to another, such as between a breastfeeding mother and her newborn infant. NanoFactor extract is 4Life's patent-pending extract of immune-enhancing nanofraction molecules. It helps fine-tune immune system function so that immune cells know when to act, how to act, and when to rest. This is the first transfer factor product available in an edible gel form. 4Life Transfer Factor products are featured in the Physicians' Desk Reference for Nonprescription Drugs and Dietary Supplements since 2003, the standard supplement guide for physicians that can be found in physician offices, hospitals, and pharmacies throughout the United States. Transfer Factors from chicken egg yolks are protected by U.S. patent 6,468,534; Transfer Factors from cow colostrum and chicken egg yolks are protected by U.S. patent 6,866,868.